The piano song above is my favorite song - Eyes On Me. Amazon I started to learn to play the piano in July, 2012. I started with basic stuff - Hanon for the most part. Then I ventured into playing more advanced pieces like The Swan by Camille Saint-Saens. Finally I started to learn Eyes On Me because it's my final goal. Once I've picked it up I won't have any regrets when I die. I am THAT serious about being able to play this song! I've never learned to play the piano before. If you must ask I'd blame it on my father. When the three of us were little my younger sister and younger brother picked to learn to play the piano. When my dad asked me what music instrument I wanted to learn I wanted to say something different. So I said flute. You can't blame me for that for wanting to learn something different than my siblings right? When I turned twenties I suddenly felt a passion for the piano. When I heard this elegant piano solo of Eyes On Me, the main theme of Final Fantasy VIII originally sung by Faye Wong, I got hooked. It's just plain beautiful! I couldn't stop playing it!! 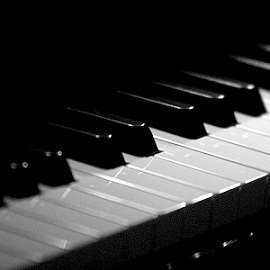 Listen to the piano songs I've played and my favorite piano songs! This website is Michael's official homepage. This website helps C++ programmers improve their programming skills! This website is for Tailwind, a seafood biotech company. This website is for Jeantour, a travel agency in Taipei, Taiwan.